The Wond’ry is a dedicated space for trans-institutional collaborations from all levels and disciplines—from engineers to scientists to humanists to entrepreneurs and artists. 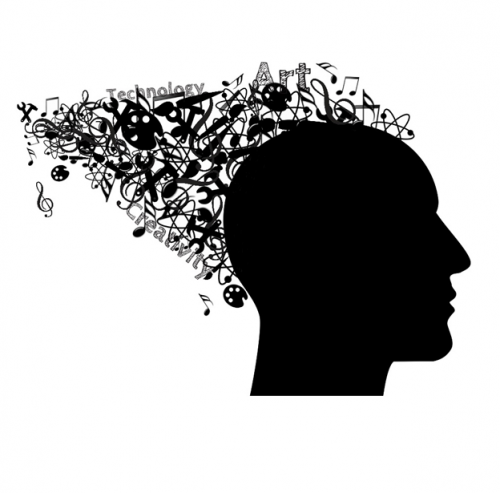 We are the epicenter for all creative endeavors that foster a culture of exploration, innovation and “making.” Students, faculty, and staff are encouraged to build, innovate, and explore with us. In addition to our pillar programs, the Wond’ry fosters innovative culture at Vanderbilt and in the local Nashville community by regularly hosting events, workshops, artist displays, and expert mentorship programs. We facilitate ideation and creative design by partnering with individuals and student organizations to run workshops with themes ranging from origami to foam fabrication and 3D printing, all while ensuring that our programs are accessible and inspiring to individuals from a range of academic backgrounds and experience levels. The layout and atmosphere of the Wond’ry is designed to inspire. We facilitate meetings of student organizations, research groups and individuals interested in joining new and ongoing projects. Art exhibits, which rotate through the first level of the Wond’ry, further enhance an already inspiring space and are an important component of our programming. As a result of our investment in innovative endeavors at Vanderbilt, our campus community will generate the capacity to turn normally abstract ideas into concrete realities that will make a difference in people’s lives. The Wond’ry recently installed an art exhibit created by Vanderbilt PHD student Kendra Oliver and undergraduate Eve Moll.These women met during ArtLab here at the Wond’ry. Kendra’s exhibit is all around women in science. In this exhibit, Kendra explores the female narrative in science through two impressive female scientists: Mary Corinna Putnam Jacobi and Emilie du Chatelet. Both Women are incredibly influential in science and both had to contend with opposing pressure while furthering their scientific investigations. Eve’s exhibit, features four female scientist Nobel Prize winners. That were all the first females of their categories. Her exhibit also features a portrait of the four females together with blue and red dots as the background. The blue and red dots are based on the demographic data detailing male and female Nobel Prize winners in science. Each dot stands for an individual laureate. The blue dots representing male Nobel laureate in science fields, outnumbered the red dots, representing female laureate. 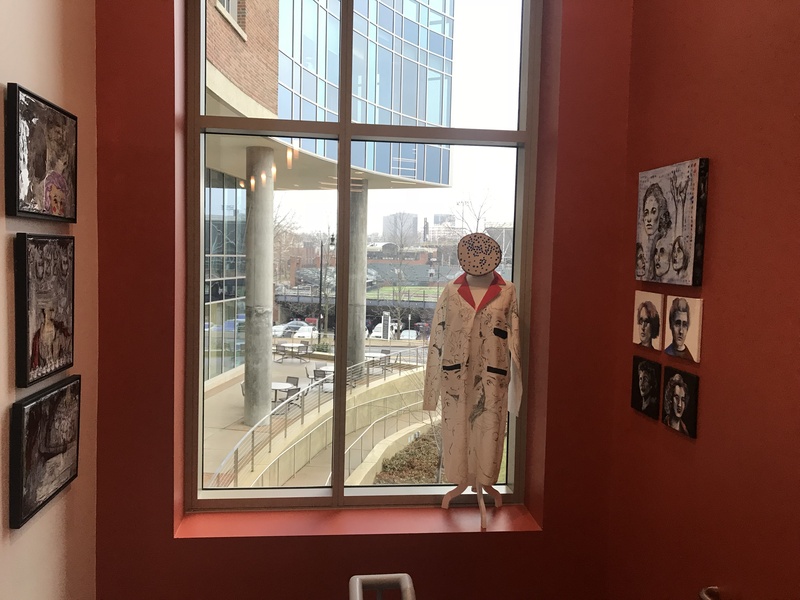 The last piece of their exhibit is a laboratory coat, with a bold red collar, bears the anonymous faces of a myriad of women. With its several overlaid sketches stretching from seam to seam, this wearable coat doubles as a face-study. Each feminine face featured on the coat aims to normalize the notion of women in science. 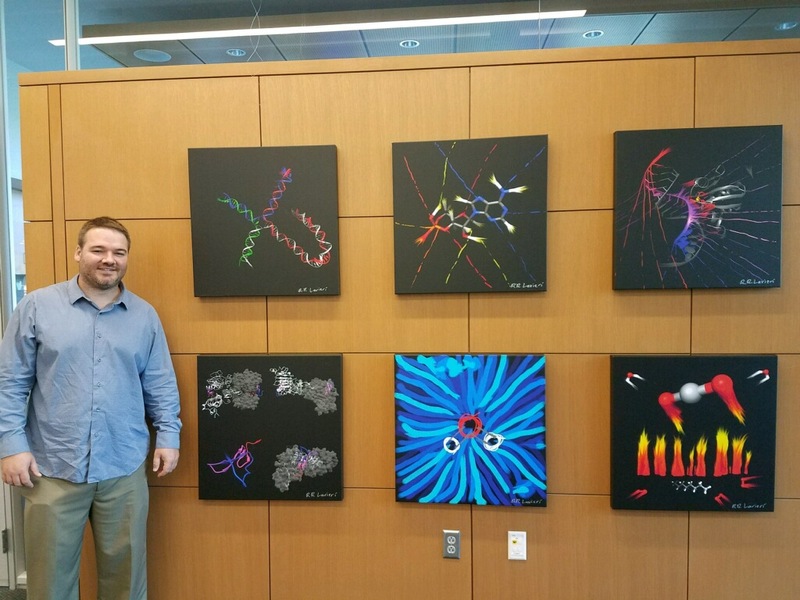 The Wond’ry installed a new art exhibit created by Vanderbilt staff member, Robert Lavieri, that translates the scientific discoveries of Vanderbilt’s six Nobel Prize Laureates into beautiful pieces of art. This exhibit is currently up on the 2nd floor of the Wond’ry. The Wond’ry team was contacted by Nashville Arts Magazine and they plan to feature the exhibit in the November issue of the magazine. Robert is currently participating in PreFlight and exploring how to turn his passion for scientific discovery and art into a business venture. String Art Mural by Jay Cavenaugh and Josh Forges. 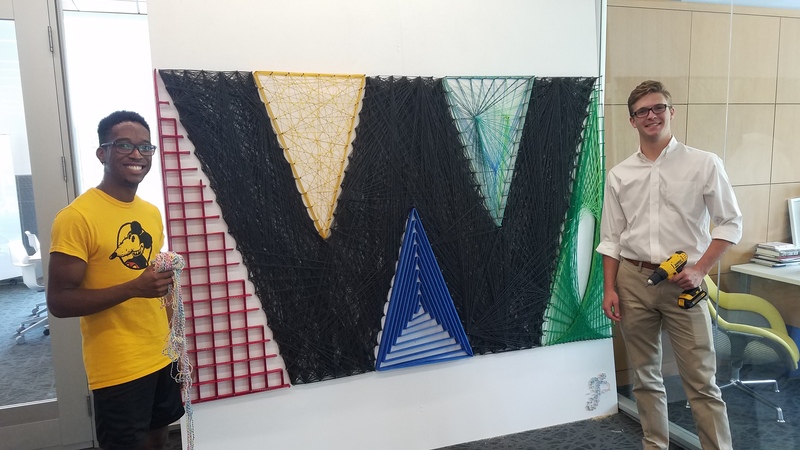 String art incorporates a visual language stemming from 19th century mathematical surface modeling as well as contemporary site specific string installation (ie. Anne Lindberg’s “Redberry” installation at the Aertson hotel) which creates precise, tactile landscapes reminiscent of an urban grid, a computer motherboard, a field of grass blades, and more. Each distinct triangle uses a primary color selection inspired by Google as well as the outdoor colored glass on the Wond’ry windows. Furthermore, the geometric pattern inside each of the 5 colored triangles uses mathematical graphing concepts ranging from planar grids to parabolas and labyrinths. Digital Privacy by Jared Moore and Mary Dockery. Do you shut your shades before changing? How would you feel if the police listened to your phone calls without a warrant? 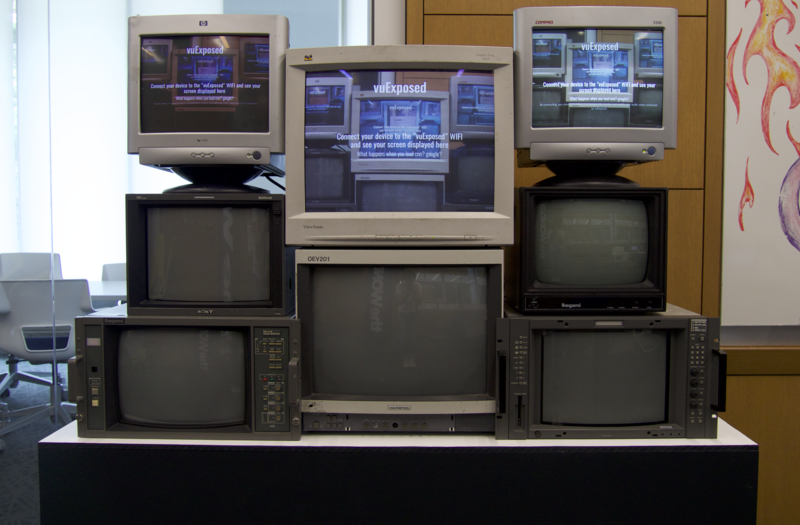 What if a screen displayed your live Internet activity for all to see? We recoil at such overt invasions, but often spend little time considering our privacy online. Visiting student researcher, Jared Moore, from the University of Washington School of Computer Science explores and informs our understanding of digital privacy in his installation at the Wond’ry. 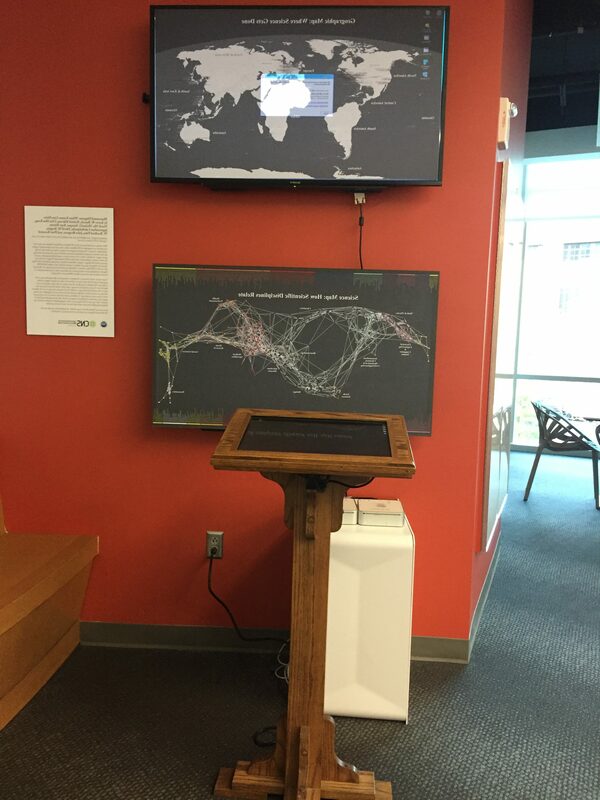 Vanderbilt student Mary Dockery designed and built the display case for this unique and thought-provoking exhibit. The LED motion-sense light wall exhibit is an inspiring and emblematic representation of the culture of the Wond’ry. It is a collaboration of current Vanderbilt students, alumni and faculty and incorporates accessible and simple materials, reﬂecting our maker culture. 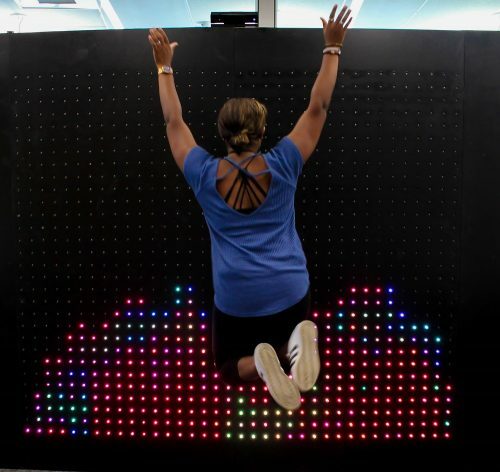 The installation includes 30 rows and 36 columns of individually-controllable LED lights, which change color in response to motion detected using a Microsoft Kinect sensor. The integration of engineering, computer science and visual art is an inspiring representation of the collaborative, transdisciplinary spirit embodied by the Wond’ry. 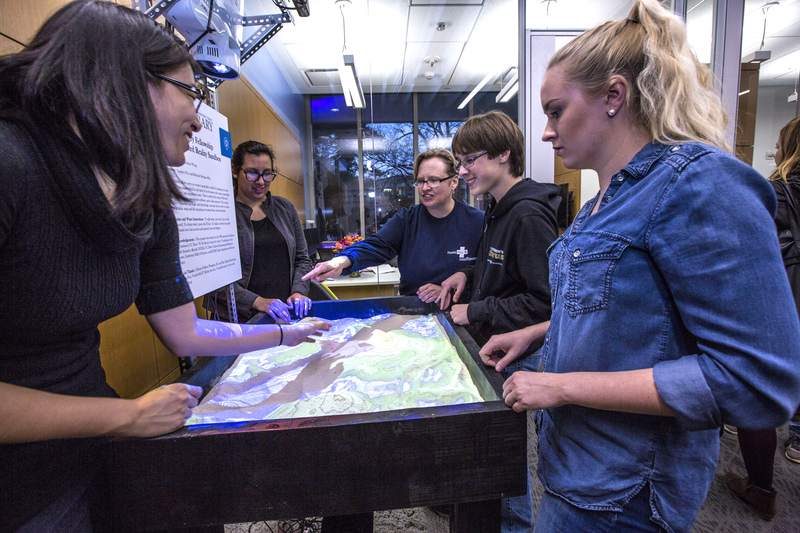 This exhibit allows users to create topography models by shaping real sand, which is then augmented in realtime by an elevation color map, topographic contour lines, and simulated water. This is achieved by using Microsoft Kinnect 3D camera, simulation software, and a data projector. The system teaches important geologic and hydrologic concepts such as how to read a topographic map and the meaning of contour lines and watersheds. With analysis and initial layout by Kevin W. Boyack and Richard Klavans, the map of science presents an arrangement of 554 different nodes, with each node representing a separate subdicipline of science. The spatial arrangement of topics on the map represents visually the more abstract conceptual relatedness between scientific areas, with proximity denoting greater degrees of relation.